So, you’re making dinner and find yourself peeling & chopping garlic again this week. 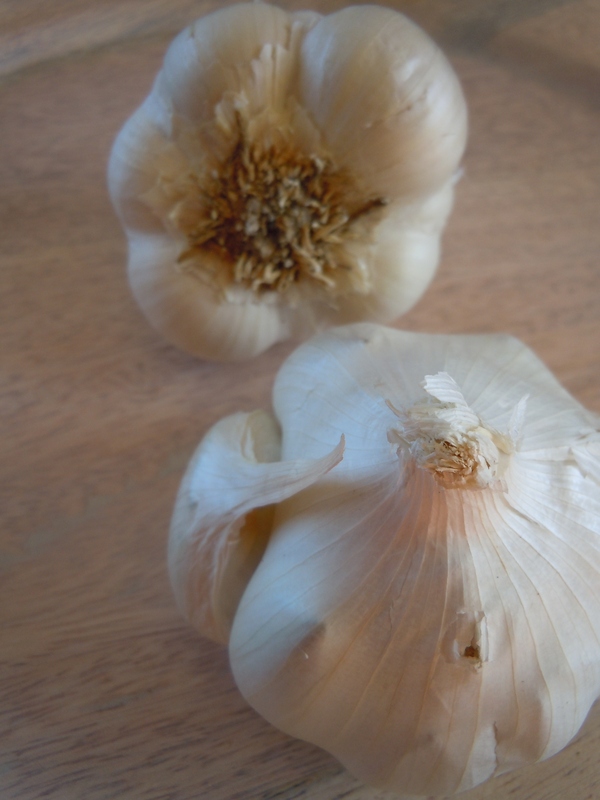 Maybe to add to pasta, a marinade, or maybe you have an aversion to the possibility of vampires—whatever the case may be—if you’re anything like me, you use garlic frequently. With all of this chopping, mincing, roasting, mashing—what does garlic really bring to our dinner tables? It turns out quite a lot, and that’s why garlic is great in every which way. Culinarily speaking, you can see what garlic offers, a strong and pungent spiciness that livens-up almost anything it touches (including your breath whether you like it or not). As much as garlic gives a kick to our meals, it also subtly sweetens and mellows with heat, and when roasted it is so mild it can be spread like butter. The garlic plant—Allium sativum—is a prominent member of the Allium family, with such relatives as onions, chives, leeks and shallots. This plant has certainly been around the block, for about 6000 years in Asia. Used both in food preparation and medicinal applications, garlic is easily grown & easily prepared. In vitro and in vivo studies have shown—and continue to show—garlic has strong antimicrobial & antibacterial properties against some infections & viruses, a potential to reduce risk of certain cancers, and support overall heart health. Historically, Ayurvedic doctors this budding bulb has been prescribed as an anti-infective since the 1st century, Even good ole’ Louis Pasteur was tackling various ailments with this stuff. If fighting microorganisms isn’t enough to sing its praises, garlic shows benefits for lowering blood pressure. Consuming fresh garlic provides you with a known sulfur-containing compound—allicin—which improves iron metabolism, by inducing sulfide proteins called ferroportin. Additionally, garlic was shown to prevent and slow the progression of atherosclerosis in double-blind studies. It’s nutritional profile isn’t too shabby either. Raw garlic (about 1 oz), is very high in selenium, manganese and Vitamin B6. It is also very low in calories. I remember being told at the start of a cold when I was little, to eat some raw garlic (I would have it with butter on bread). Not exactly my favorite midday snack as a kid, but there is a rich herbal history behind its uses. If consuming raw cloves isn’t your thing, you can also supplement with garlic capsules (that way you can have less Altoids after lunch). Personally, I prefer to use fresh garlic almost daily when cooking. Though, there are some preparations that optimize garlic’s benefits. Chopping (fresh) garlic allows the allinase enzymes to be released. It’s recommended to let the chopped garlic cloves sit for several minutes before heating or cooking to maximize potency. Also, too much heat destroys the good-for-you enzymes, so don’t torch your bulbs! I chop and mince fresh garlic routinely for marinades, sauces, and for almost every soup I create. I like to roast entire bulbs to have with warm brie cheese & honey, over a toasty baguette. Hungry yet? See, this healthy stuff isn’t so bad after all. I even make tangy goddess salad dressing with a clove or two, and infuse olive oil with garlic for sautéing & cooking proteins. You can buy garlic-infused Extra Virgin Olive Oil at specialty stores, which is awesome (I got mine at We Olive of course)! Making your own is also simple: warm about 3 tablespoons of EVOO, add a clove of thinly sliced fresh garlic, let the oil stand for an hour to infuse. You can then use for sautéing, dipping with bread, or even drizzle over a steamed artichoke, or heck, just drink it! Enjoy some fresh garlic to kick-up your next dish, and kick colds out the door! I guest posted this feature on another wonderful blog, Your Thriving Family. 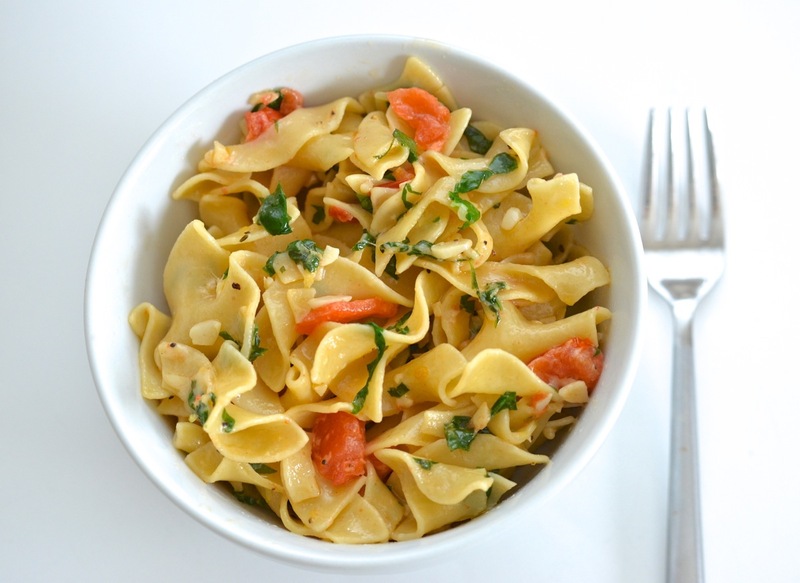 See the entire post of my garlicky goods, benefits & garlic-featured recipes there . . . and check out an amazing blog while you’re at it— Garlic The Great.